These Table Centerpieces will bring beauty and simplicity to your wedding or special event. Not just for weddings, ideal for table decorations for Baby Showers, Bridal Showers, corporate events and hotels or restaurants fresh flower decorations. Note, centerpieces do not include containers. Suggested container size; 4 to 10 inches in height, opening of 4 to 5 inches. 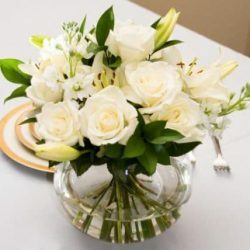 Just cut stems with the included flower clippers and drop the arranged fresh flowers into your favorite vase for a spectacular professional florist look at your next event. Design idea, simple do it yourself, add your own ribbons and pins and turn the centerpieces into beautiful bridal and bridesmaids bouquets. 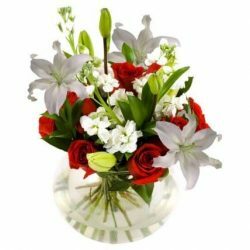 Buy centerpieces at wholesale prices to decorate for wedding or special events. easy, just cut and drop into your containers or decorate with ribbon and us as bouquets for bridesmaids.